Established in 1958, Martio's Ole' Time Pizza Parlour has been an integral part of the Rockland County community. It was opened by Frank 'Martio' Colandrea in Spring Valley, New York in 1958 - and moved to Nanuet in the early 70's with his wife Lois and 5 children. Martio's Pizza has remained in the family for three generations, and we only have our customers to thank! Located in a historic building that once housed the area's Library, Barber Shop and Grocery Store, it gives the customer an authentic, true-to-the-community dining experience. A lot of the decor is sourced from around the world; with an actual station light pole from Grand Central Station (circa early 20th Century), a ticket booth from a local historic theater, and a custom built brick oven imported from Italy! 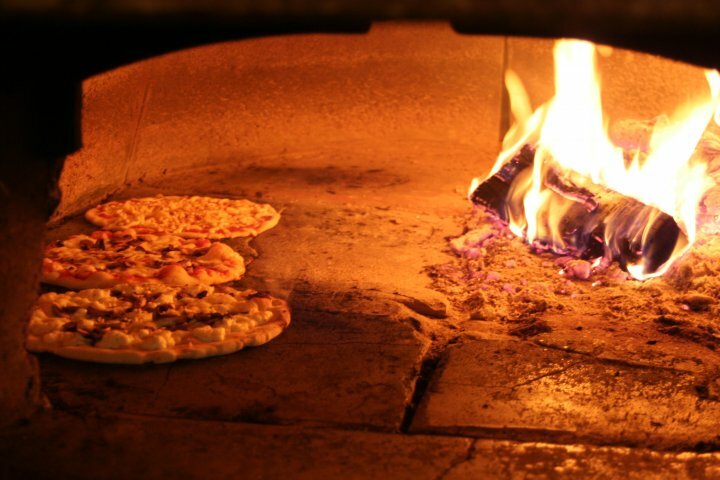 Martio's Pizza was, and still is Rockland County's first wood-burning brickoven. Many places use faux brick exteriors that utilize gas as a source of heat...while others use coal. At Martio's, we bake the brickoven until the pies are crisp, aromatic and slightly charred from the sweet burning wood. All of our recipes are family made and inspired, and have been passed down from generation to generation. Come by and taste it out!